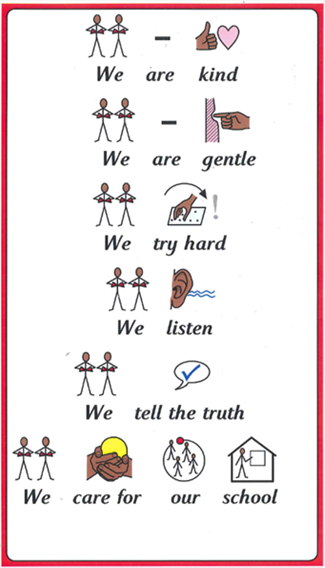 At West Hove Infants we work in partnership with parents/carers to keep them informed about school systems and policy. We promote positive behaviour across the school. How do we promote positive behaviour in the classroom? How does the behaviour chart work? All children begin at this stage at the start of each lesson and especially at the beginning of each day. 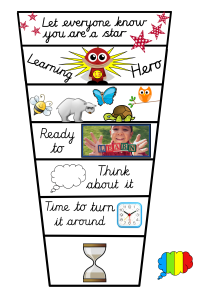 When children demonstrate good learning behaviours in relation to our ‘learning powers’ their names are moved into this section. 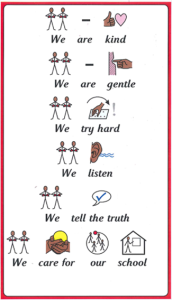 Any child showing very good examples of ‘behaviour for learning’ moves to this section. Any child showing exceptional ‘behaviour for learning’ moves to this section and is sent to the Head of School for a certificate. Where there is low level disruption e.g. calling out, not demonstrating ‘good sitting, listening, etc.’ the child’s name will be moved here. This is an opportunity for the child to think about their behaviour. 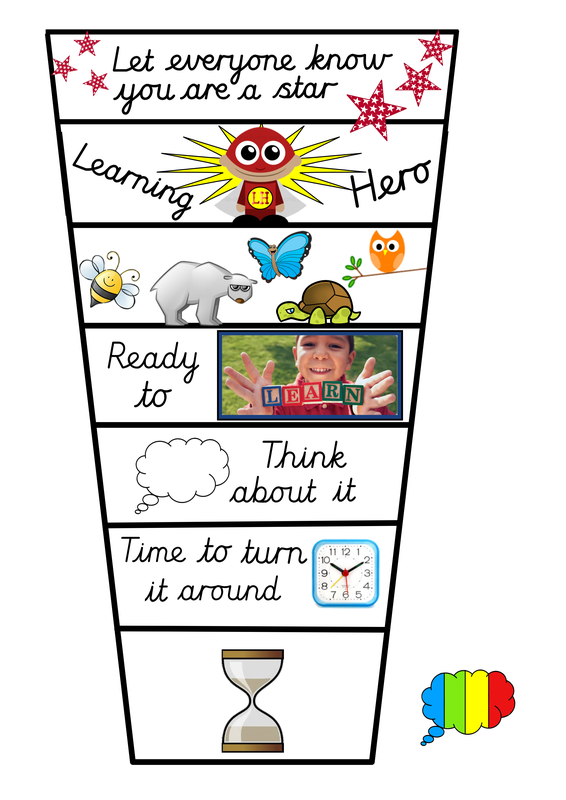 Some children may need support to ‘reset’ and be ready to learn. If child continues with low level disruption, a further warning is given and the child is told that this is their last warning. At this point the child will be given time out. This may mean missing 5 minutes of playtime, time out in another class or time out with the Head of School. We always aim to work closely with parents and try to find a positive way to deal with any situation. If incidents are serious or persistent parents will always be informed. 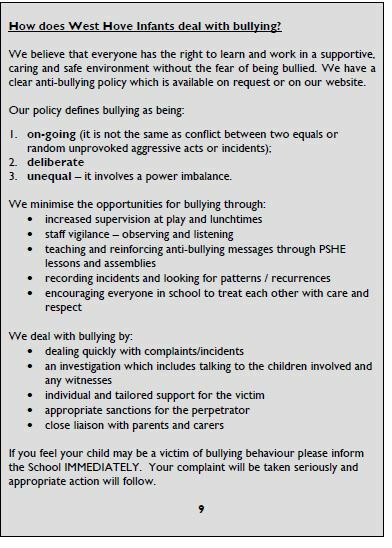 How Does West Hove Infants Deal with Bullying?